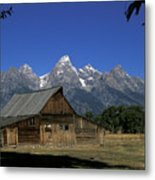 Queen duvet cover (88" x 88") featuring the image " South Moulton Barn Grand Tetons" by Gary Langley. Our soft microfiber duvet covers are hand sewn and include a hidden zipper for easy washing and assembly. Your selected image is printed on the top surface with a soft white surface underneath. All duvet covers are machine washable with cold water and a mild detergent. 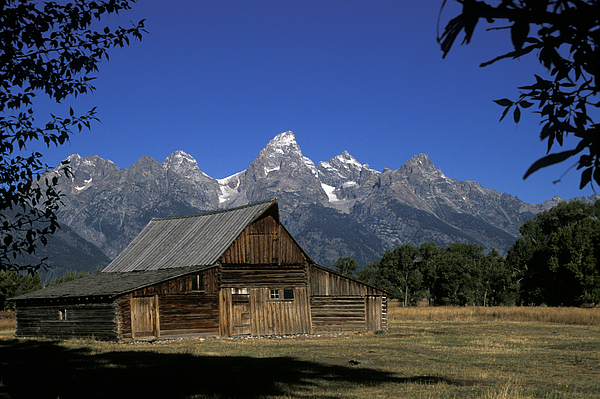 There are no comments for South Moulton Barn Grand Tetons. Click here to post the first comment. South Moulton Barn early fall The T. A. Moulton Barn is all that remains of the homestead built by Thomas Alma Moulton and his sons between about 1912 and 1945. 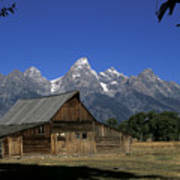 It sits west of the road known as Mormon Row, in an area called Antelope Flats, between the towns of Kelly and Moose. 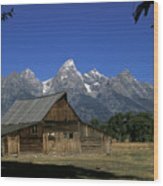 Now lying within Grand Teton National Park, it is near the homestead of Andy Chambers. 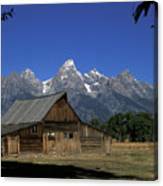 The property with the barn was one of the last parcels sold to the National Park Service by the Moulton family.